Healthcare@: Obamacare is Failing, FBI, 3rd Annual Advocates for Character and Education Awards and Happy Belated Mother's Day! Obamacare is Failing, FBI, 3rd Annual Advocates for Character and Education Awards and Happy Belated Mother's Day! Last week, another major insurer left Obamacare-meaning even more states are down to just one insurer on the exchange. In fact, more than half of the states in our country have at least one county with only a single insurer on the exchange. That's leaving families with fewer choices and even higher premiums. It's well past time to find a solution that ensures all Americans have access to quality, affordable care. I will continue to advocate for patient-centered health care and will support real solutions to rising health care costs. Regardless of what they are saying today, Democrats have continually called for Director Comey to be fired over the past six months. Multiple federal entities are currently and independently conducting Russia investigations, including the Senate Intelligence Committee. Chairman Burr and Ranking Member Warner have repeatedly demonstrated they are working together to uncover all of the facts, and I have no reason to believe they won’t. I also do not believe that the Director’s dismissal will affect how the FBI carries out its investigations, and I have full confidence in the brave men and women serving our nation every day at the FBI. I look forward to the Senate Intelligence Committee’s report, and to reviewing that and any findings made by the FBI at the conclusion of their investigations. Last Friday, I had the opportunity to speak at the 3rd annual Advocates for Character and Education Awards (ACE) in Greenville. 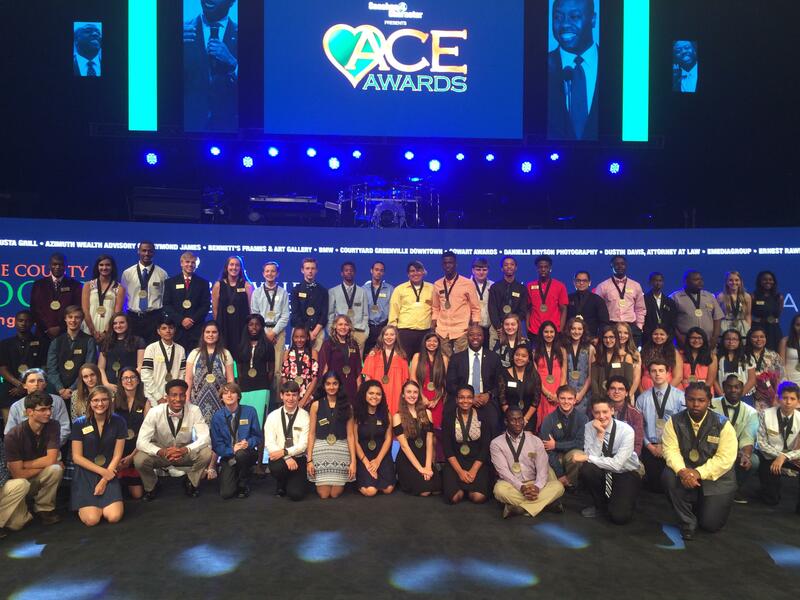 ACE honors middle and high school students who have overcome great odds and continue to strive for success. The students’ stories were remarkable and their perseverance despite hardships commendable. It was truly an honor to spend the evening with them. Growing up, my mom taught me that if you shoot for the moon, and you miss, you’ll be among the stars. I hope everyone had a great Mother’s Day! Here’s a video of me thanking my mom, Frances Scott, and all the moms out there who sacrifice so much for their families!